In economics, there's the concept of durable and consumable goods. Durable goods are products that have a longer-term lifespan over which they continue to provide utility. This would include things like cars, refrigerators, and jewelry. Consumable goods are things in which you use up their value all at once, or very quickly, and then they're depleted. Stuff like food, gasoline, and shampoo. Because there's such a wide range of lifespan for products, they actually have criteria to classify goods as durable vs consumable. Something that is consumed all at once, or has a lifespan less than 3 years is considered consumable. Things with lifespans of 3 or more years are considered durable. Well, the thought occurred to me as I was in the midst of a couple of transactions, selling one thing I owned to fund the purchase of something else that I wanted. The item sold was a guitar. Guitars can be particularly wonderful durable goods. First, if well-cared for they last a very long time – longer than the buyer. Second, they don't really become obsolete – an old guitar still performs comparably to a brand new one (even better, some would argue!). And if the conditions are right, you might even be able to sell them for more than you bought them. I was lucky enough to be in that position. I bought the guitar used, avoiding the initial depreciation hit on resale value. Then I kept the guitar for a long time (over 10 years), during which the model became fairly desirable on the used market. So I ended up selling it for 53% more than I bought it. It's a marvelous feeling to be paid money to own something you love for 10 years! While I loved the guitar, it hadn't seen a lot of playing time over the last few years because I was no longer playing the style of music that the guitar was best at. So I thought I should sell it and use the proceeds to buy something I knew I'd get more use out of, and hopefully the guitar would go to a person who would play it more (mission accomplished on that, by the way). A win-win. Here's the rub. I upgraded my camera with the money I got from the guitar. If I'd held on to the guitar, it likely would have just kept appreciating in value. But a digital camera, being a technology item, is going to do nothing but depreciate due to obsolescence (an old digital camera doesn't perform comparably to a new one). And it's going to do so very rapidly. The Accountant in me doesn't like this trade much. He usually rules the roost, but in this instance he got overruled by The Artist. But that's what got me thinking about durable and consumable goods. Some photographers have a camera upgrade cycle that technically classifies their cameras as consumable goods, upgrading within that 3 year threshold. So, cigarettes, toilet paper, beers, and... expensive digital cameras! The Artist in me says, "Yeah, let's do that!" 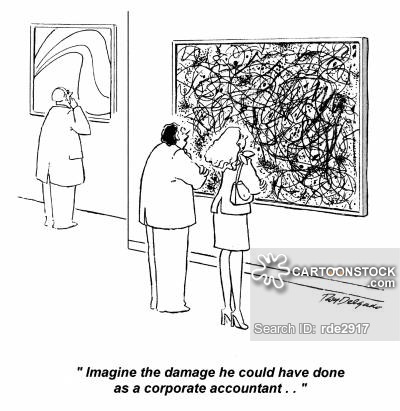 But The Accountant replies, "Well, if you were The Businessman instead of The Artist, and made some money at this, then maybe we could do that because we'd at least get to take a tax deduction on the expense." So technology products for me fit unambiguously in the durable goods category. I tend to hold on to my tech products for longer than most people because of, well, The Accountant. I upgrade about every 3rd to 5th generation. For example, I'm still using my iPhone 5S (although it is getting long in the tooth and I don't know how much longer I'll keep it). It's painful to sell something that is going up in value at a slow but steady rate for something that I know I'll spend as much or more money replacing in about 7-10 years (given my usual upgrade cycle). That's the conundrum with technology: The pace of advancement means that at the point you buy a product, the ratio of price to performance is phenomenal. But you get killed on the back-end. These are the things we do to keep The Artist happy.